If you want to watch the Asian Games 2018 then this is the guide you need. In this guide I’m going to show you how you can watch the Asian Games 2018 in the UK or elsewhere in the world. The Asian Games don’t get much coverage in the UK or in many countries outside Asia. This means that there are very few services that stream the event live. It is however possible to tap into an overseas stream of the Asian Games and for this you’ll need an app known as a VPN. I recommend using ExpressVPN because they’re easy to use and work well for watching live video but there are others which I’ll cover further down in this guide. So what are you waiting for? Let’s find out how you can watch the Asian Games 2018 in the UK or elsewhere across the world. The Asian Games 2018 are being shown live on the Indian TV service, SonyLiv. To watch this outside India in the UK or elsewhere you’ll need to get a VPN service which will unblock and allow you to watch anywhere. I recommend using ExpressVPN. They’ve got a 30-day day money back guarantee making it risk-free if you can’t get it working. They also have a deal allowing you to save 49% off the regular price if you sign up for a year and it comes with 3-months entirely free. Just choose one of the providers above and sign up for their service. Once you’ve signed up follow the steps below to use the VPN to watch the Asian Games in the UK or elsewhere in the world. Once you’ve got a VPN service the steps to watch the Asian Games 2018 are really simple. In the example below I’m using my recommended provider ExpressVPN but you can adapt the steps regardless of which provider you signed up for. They’re almost identical. Visit the ExpressVPN website by clicking here and sign up for their service. Download their app from the Products section of their website. Open the app and login or activate it when required. Press Choose Location and then select All, then Asia Pacific and finally click India. Wait for the app to connect or press Connect if it doesn’t connect automatically. Once the app has connected visit the SonyLiv Asian Games page. Once you’re connected to the ExpressVPN app or the app of the company you signed up for you’re able to watch all of the Asian Games 2018 in the UK or anywhere else in the world. When you’ve finished watching simply disconnect. You can reconnect at any time and continue watching the games. There are no limits on how often you can connect or disconnect or how much of the Asian Games 2018 you can watch. The Asian Games 2018 are taking place in Indonesia. The events will be split between both Jakarta and Palembang. The games will kick-off from 18th August 2018 and run until 2nd September 2018. If you haven’t watched the Asian Games before then you can think of them as a mini-Olympics but for Asian nations only. Or similar to the European sporting championships. It’s actually a bigger event than you may first think with around 45 different countries taking part. There are a whole host of different sporting events, more than 40 to be exact. With 465 different events across the different sports, it makes for a lot of action watching. Traditionally China and Japan fair best in the tournament overall. 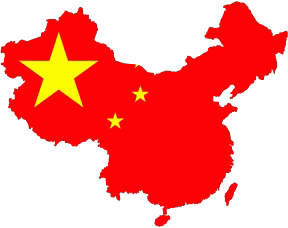 In fact, China has won every year since 1982 and with so many athletes it’s difficult to see this changing any time soon. That said Iran, Thailand, South Korean and Kazakhstan have all done well in specific events so it makes the Asian Games one well worth watching. If you’re in the UK or any other country outside Asia then you don’t need to miss out on the games. In fact it’s actually really easy to tune in and keep up with the events. To watch the Asian Games 2018 in the UK and elsewhere you’ll need to get yourself a VPN service. A VPN comes as an app that allows you to change your location. You’ll then be able to tap into an overseas stream of the games and watch in the UK or any other country. I recommend using ExpressVPN. They’re one of the easiest to use plus they’ve got a 30-day money back guarantee. If you can’t get it working then you can just get a refund. At the moment they’ve also got a promotion giving you 3-months entirely free if you sign up for their yearly package. This makes the price 49% cheaper than if you pay monthly so it’s well worth considering. 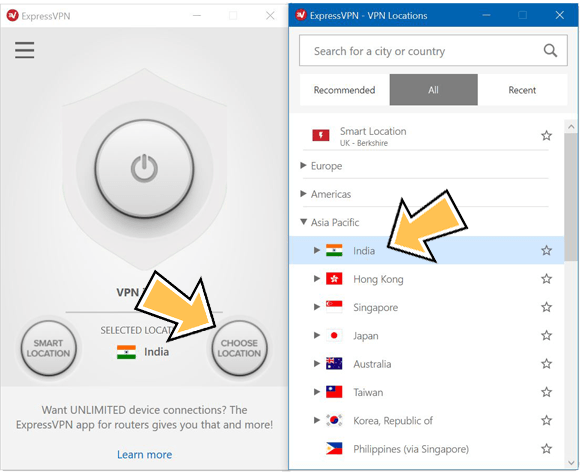 Just click the button below to sign up for ExpressVPN, download their app and connect to India. You can then watch the entire Asian Games 2018 on the SonyLiv website from the UK or any other country in the world. Where will you be watching the Asian Games from and what event are you most looking forward to? I would love to know so why not let me know in the comments section below.